January 8, 2017 Categories Dungeons and Dragons, Geekdomcard games, Civilization 6, computer games, Dungeons and Dragons, games, PathfinderLeave a Comment on Games and D&D – what else? This weekend was spent playing games and watching Acquisitions Inc (D&D show). I can proudly say that I won the Civilization 6 game I was playing. It was the second game I finished (I’ve started many others) and was pretty fun. 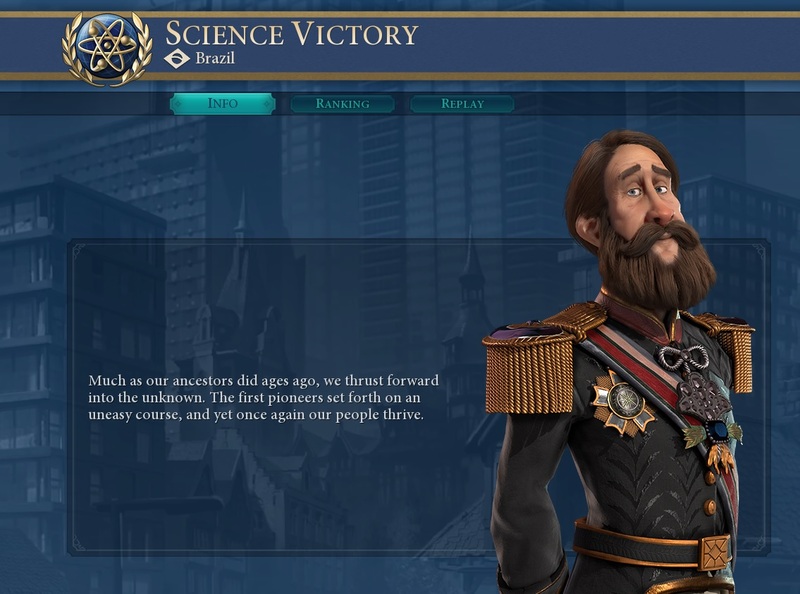 I played Brazil and won via the Science Victory – aka creating a colony on Mars. Early in the game I ended up occupying one of Spain’s cities and every so often the leader of Spain would tell me I was “another Judas” come to do harm. Serious, much? Haha. I also played the Pathfinder card game with the homies and we finished an adventure deck which means we got two rewards instead of one. Woot. So excited to start playing the other Pathfinder card game Gene got for Christmas but we have to finish this one up first – three more decks to go. In our free time we watched Acquisitions Incorporated: The Holiday Special (free for those with Amazon Prime). Acquisitions Inc may be the best D&D show/campaign out there currently. Chris Perkins does an amazing job as the Dungeon Master and is someone to look up to for inspiration and guidance on how to be a better DM. The players are funny, interesting, and all around awesome – both the characters and the actual humans behind them. Watching them live at PAX this past September was an amazing experience. Looking for something new in your life and interested in D&D? Start watching their shows, you can find them on YouTube.